We offer a complete, intuitive program for your Service Disabled/Veteran Owned Business spend needs. Enabling you to reach your Socioeconomic Certified spend goals, providing an automated, standardized process with the control and visibility you need. Our years of experience, successfully connecting Buyers and Suppliers specifically enables us to provide the solution that you are looking for. We partner with our clients, building each and every client a customized eMarketplace for their organization, driving their buyers to purchase from their SD/VOB Suppliers and Resellers. We deliver a one-stop, easy, seamless shopping experience to your buyers, bringing all of the diversity opportunities onto one stage. Our clients gain the benefits of a full eProcurement platform. Our proprietary platform includes a robust assortment of features and benefits. As the technology partner to dozens of socioeconomic certified vendors, we enable any size supplier to support the volume of business produced by large customers through technological efficiency. Whether the SD/VOB is the direct vendor, or a Reseller in a relationship with a national vendor, our platform builds capacity by streamlining and automating basic business processes, allowing the SD/VOB to participate in any eProcurement initiative. Robust reporting tools allow for complete data analytics down to the line item level on every purchase so addressing SD/VOB spend reporting requirements is effortless. The ePS platform is PCI-compliant and CISP-certified. 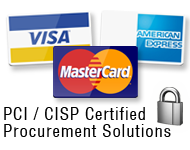 This means that we not only securely store credit card /P-Card information but securely pass the card information on the Purchase Order to the supplier, and then we process the credit cards on behalf of the supplier. Your data remains secure at all times. We do not ever expose your P-Card information to risk of fraud. Our software is fully scalable, flexible and protected by the highest level of data security. Cloud-based tool allows all customers to access the same version of the software from anywhere there is internet access. Access is secured through unique logins. ePS Fulfill allows any supplier to receive electronic purchase orders and return e-invoices with Level III line item detail on every invoice, every time, guaranteed. Because every supplier is using ePS Fulfill for invoicing, you control pricing by preventing price changes on POs. You control overshipments – suppliers cannot invoice for more than the ordered amount, nor can they add shipping and additional charges unless authorized. You even control tax application, with the ability to prevent tax from being applied to tax-exempt organizations. Favorite carts, Frequently Ordered Lists, Bulk Uploads, Flexible Catalog Content Views are just some of the features that help you drive spend toward preferred contracts. 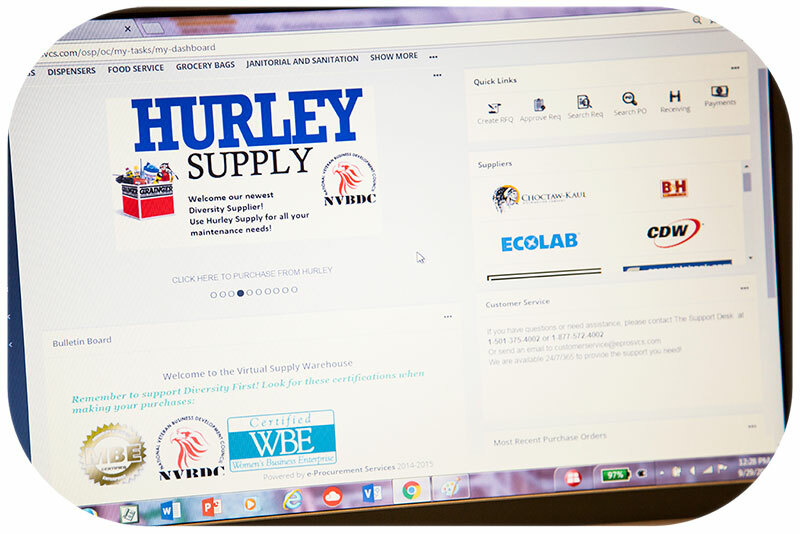 Shopping Dashboard flexibility allows you to bring your SD/VOB suppliers front and center, targeting your socioeconomic certified spend initiatives. Our platform accommodates both hosted catalog content and punchout capabilities. Our ePS Catalog Manager allows suppliers to load catalogs that remain unpublished until you approve them. Approval hierarchies based on dollar amount, supplier, budget codes or a combination. Catalog content control down to the user level allows you to determine who can see what content, and how much can be purchased. Tying budgets to users, departments, cost centers or business units allow for tight corporate control while accommodating decentralized purchasing requirements. Complete reporting available on requisitions, purchase orders and invoices down to the line item level. More than fifty criteria may be selected to build the exact report you need. All reports are exportable to Excel. Addressing SD/VOB spend reporting requirements is effortless. Because suppliers are using our software, they are able to provide Level III line item detail on every invoice. Level III line item detail includes standard information such as billing address, zip code & invoice number, plus Sales Tax, Freight, any additional charges, and line item details including part number, part description, quantity purchased, unit of measure, unit price and line item totals. Our Supplier side software, ePS Fulfill, interacts real-time with our Buyer side software, ePS Procure, populating shipment and invoice information directly onto the Purchase Order record. This means that all documentation required by auditors is available at a glance. An exact three-way match between order, shipment and invoice can even be confirmed through the Receiving function. Bring on the auditors! A basic precept within the ePS organization is that excellent Customer Service is primary to our success. We value the relationships we have developed with all of our customers, whether they are Buyers or Suppliers or Resellers. It is for this reason that we proudly provide support as an on-going, unlimited, free-of-charge service to all of our customers. Others in the industry may charge separate annual fees for access to a call center, email support, live chat and even training. We do not. We believe that you deserve a friendly voice, a professional email, and access to experts who can help you get the most from our platform. Your organization will change, people will come and go and we will be by your side. It is what we do. You achieve diversity spend targets and your diversity suppliers benefit from expanded business – it's a true win/win!